Operation HOPE seeks to be the healing hands of Christ throughout the world. Through local, national and international mission work, we are a Lubbock-based non-profit with a world-wide reach. 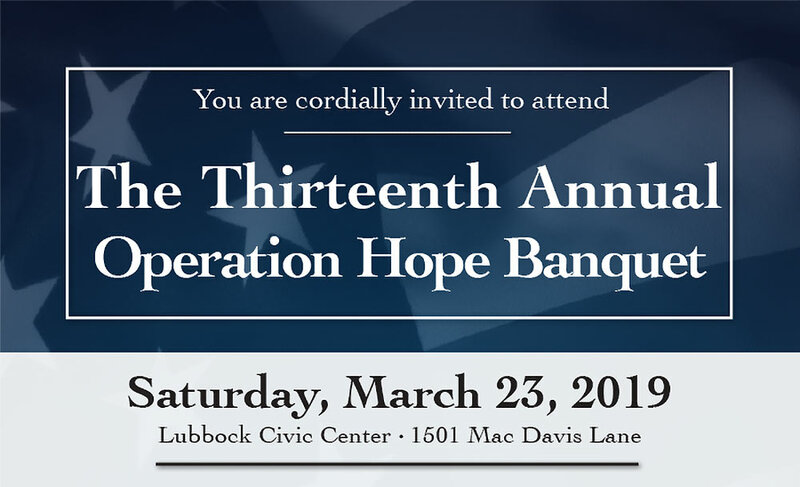 We would be honored to partner with you as a sponsor for this year’s Operation HOPE Annual Banquet. The event will be held on March 23, 2019 at the Lubbock Memorial Civic Center and we anticipate it will be sold out, as it has been the past several years. A couple of months ago, Operation HOPE took another trip to Iraq and brought along one of our dear frieds and supporters, Asher George. Asher was able to assist Dr. Thomas throughout the trip as well as shoot some fantastic photos of the entire experience. Below is a brief recap of the trip from Asher's Perspective. 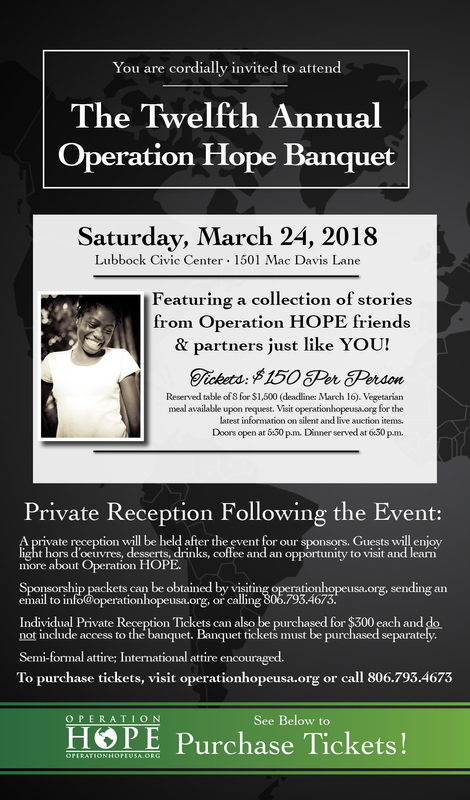 Each year, Operation HOPE holds an event to update all of our supporters on the progress being made in Haiti, Iraq, and right here in the US, and to provide them with even more opportunities to invest in these wonderful people. In years past, speakers have included our founder Dr. John Thomas, Pittsburgh Steeler Baron Batch, Former Atlanta Braves Pitcher John Smoltz, Actor/Director/Producer Kirk Cameron, & Dr. Ben Carson. This year, Operation HOPE welcomed LtCol Oliver North back for the second time since 2011. Below are the details for this year's event.